Curtis Horton was born in 1936 and a graduate of Central High School where he played multiple sports. He was the captain of his high school basketball, softball, and track and field teams, in addition to being co-captain of his high school football team. He graduated high school in 1954 and received a scholarship to attend Tuskegee Institute (Tuskegee University). Horton was a star football player at Tuskegee and was selected for the All-Southern Intercollegiate Athletic Conference (SIAC) football team. Horton was not only a successful athlete, but a great teacher and coach. His first teacher-coach position was at Mobile County Training School (MCTS) where he served as a physical education teacher, head baseball coach, and defensive coordinator of the school’s football team. Horton attained many accomplishments in coaching, winning multiple area and state championships in various sports, including two girls basketball state titles for Williamson High School in 1986 and 1989. He received the Mobile ‘Coach of the Year’ numerous times. 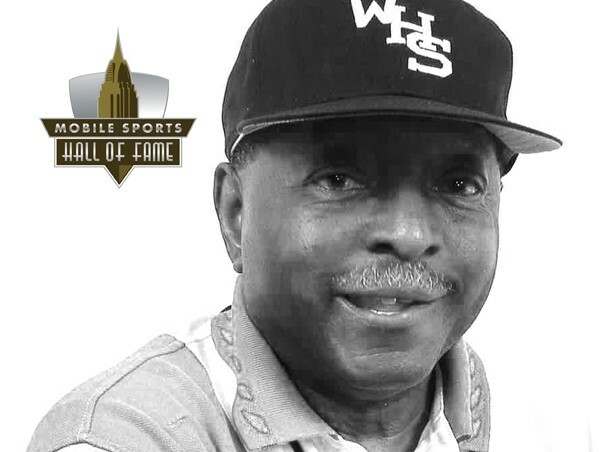 He was inducted into the Tuskegee University’s Athletic Hall of Fame in 1993 and the Mobile Sports Hall of Fame in 2006. Interesting Fact: Curtis Horton coached Cleon Jones and Tommie Agee at Mobile County Training School in baseball. Jones and Agee went on to win the World Series in 1969 with the New York Mets. Dr. Brandon Spradley is the Chair of Sports Management at the United States Sports Academy. He led efforts in partnering with the Mobile County Training School Alumni Association to develop a black sports history project that captured the stories and recollections of former athletes and coaches from the 1950s – 1980s.